Made just for you, these personalised 'Get Well Soon' cards are unique just like the recipient! 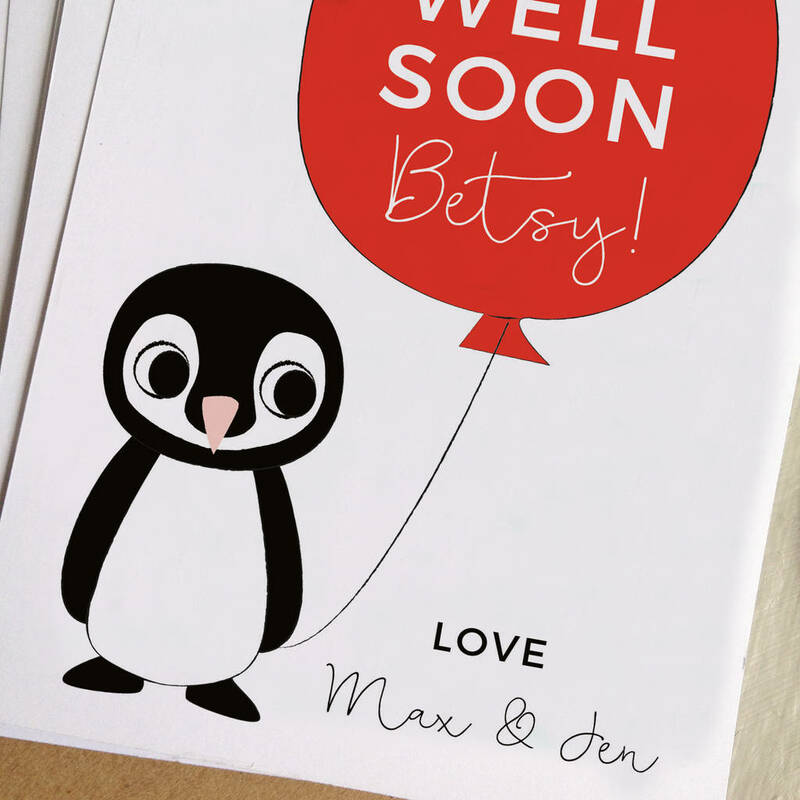 These cards are a lovely way to show you are thinking of someone during illness or after an operation. 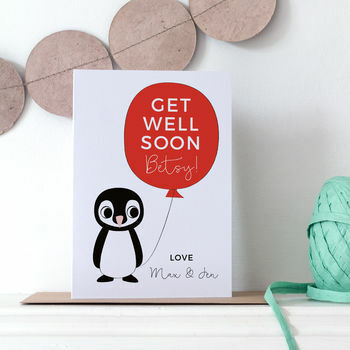 The card comes with a smart Flecked Kraft recycled envelope or a white envelope in a cellophane sleeve. Add the name of the recipient and the sender(s). Choose from different balloon colours. Digitally printed on quality 350 gsm card with a choice of a recycled Kraft envelope or a white envelope. This product is dispatched to you by Small Dots.